Our little family loved the Singapore Zoo. 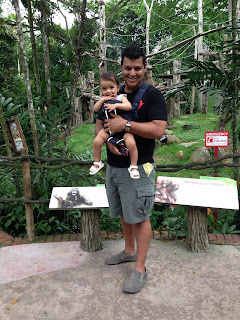 It was seriously the best zoo we've ever been to and a spectacular experience. 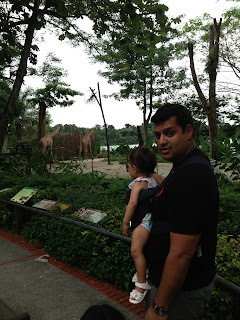 The zoo itself is beautiful and very well maintained, like everything else in Singapore with lots to do. 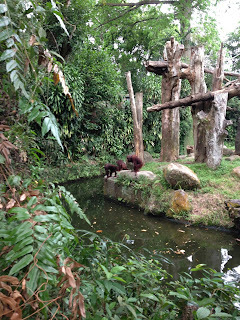 There was such a large variety of animals roaming around and not a lot of them are in cages or behind barriers! Our only complaint is that we didn't get to spend enough time there. We had it all planned out. 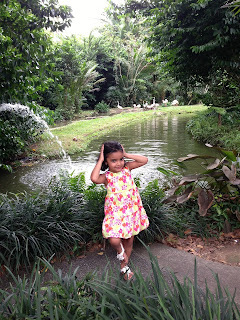 Let the kids go down for an afternoon nap, wake them up, pack them up and head out to the zoo where we would spend the late afternoon and evening when it cooled down. Sounds like a plan, right? No! There was sooo much to do and we got there only at 4:30 when the regular zoo closes at 6:00 pm. We didn't get to do the much lauded River Safari as it was and we had to take a tram around the entire zoo instead of walking around. Especially since.... wait for it.... we spent some time lining up to ride an elephant!!! I've always wanted to ride on an elephant. Since coming to Asia we've been searching for an elephant to ride and we finally found one. It was so cool!!! And way more user friendly than I thought it would be. The elephant was large yet so gentle. We climbed on from a high step and slowly made our way on a short path. Anjali was in the Baby Bjorn on Darin so the four of us were able to do it together. An amazing experience. Unfortunately, at this time I don't have any photos to show. Well not from our iPhone anyway. We ended up buying the pictures from the zoo as we wanted a shot of the experience of course. Maybe I will scan it one day. 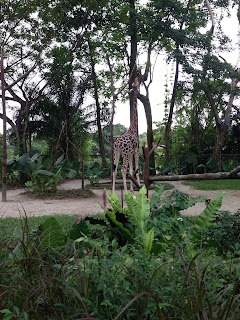 We also stuck around for the Night Safari which was another epic (Charlie Sheen ruined that word forever) experience. We first went to a show where the animals performed then took a tram to view the animals. There was something so cool about viewing them up close in their 'natural' habitat in the moonlight. Even the kids loved it... Well Cass did, Anjali managed to catch a few zees. We didn't venture out walking through the zoo with two kids in the pitch black though... we're only so brave! Most of the photos are on our regular camera but I did manage to capture a few on my phone. Also, no images of the Night Safari as the flash can apparently blind the animals. 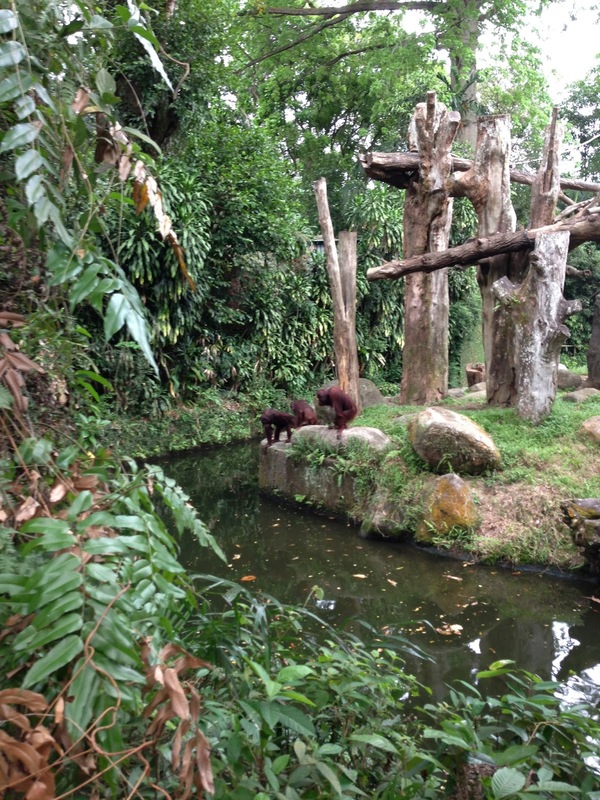 Can you see the orang-utans? This kid is TOO big for a stroller!